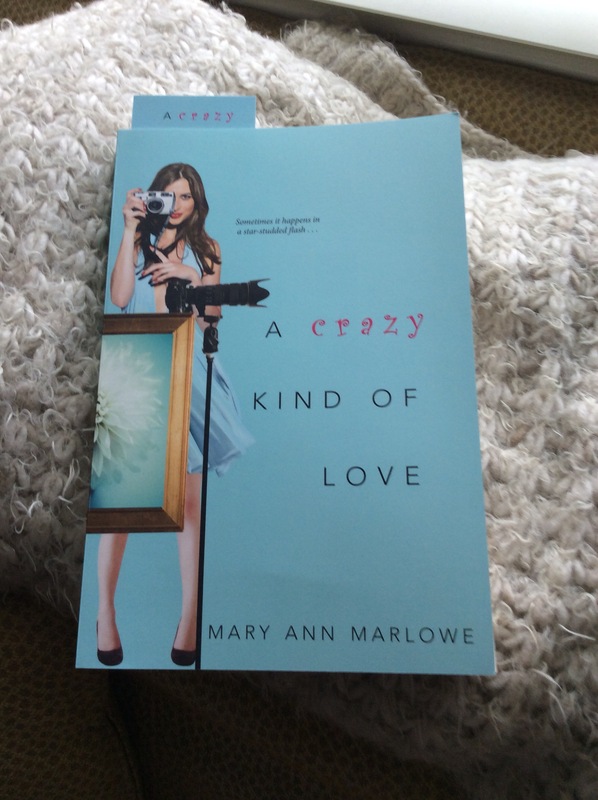 Mary Ann, thanks so much for letting me read your novel A Crazy Kind of Love. I love how your main characters Jo and Micah are not only fun, charming, and quirky, but they have backgrounds that give them depth and grit. That combination makes it easy to care about them but it also makes me think about those characters long after I finished the book. ME: A Crazy Kind of Love started off really quick with Jo and Micah’s first meeting. As I read it I thought of how, as a woman, you just relish the “how did you meet your boyfriend/husband” question if you have a great story. Jo and Micah certainly have that when he literally sweeps her off her feet to get that perfect shot. Did you find inspiration for Jo and Micah from your own “how did you meet story”? If so, would you share? If not, was it someone elses? Mary Ann: That’s a really great question. But no, I’ve never been in quite the same situation Jo and Micah find themselves in at the start of this novel. While I do tend to draw details from my own life to weave into my writing here and there, most of my plot derives from pure wish-fulfillment of an overactive imagination. However, I will confess to some odd meet-cutes, and I have toyed with one as potential fodder for a novel, but none of them ended up in a long-term relationship, so they’d make better fiction than anecdotes. ME: After reading the first novel Some Kind of Magic and seeing how much Eden, Micah’s sister, wanted a normal life after growing up with her vagabond parents. It was interesting to see that Micah was unfazed and in fact drew inspiration from that same vagabond background. Which character was more fun for you to write? Eden’s straight arrow or Micah’s happy go lucky dreamer? Micah’s so different from me. He’s got such a great optimistic perspective on life, but he’s also a bit of a brat, and that always makes me laugh. I honestly don’t know where he even came from, but from the minute he materialized in Some Kind of Magic, I knew he would be a blast to hang out with. I hadn’t started out intending to give him his own story, and at first, I wasn’t sure he could even be a serious contender for a romance hero. But when I dove in, he surprised me in so many ways. ME: I found Jo fascinating! She was of mixed heritage, yet was brought up by her very American single mother. She has a famous, long distance Indian father, who is culturally very different from her. Yet, except for some very understandable daddy issues, she is very well rounded! How difficult or easy was it to write and develop a character who was desperate to learn more about her Indian heritage but also be so secure with who she wants to be? Where did you draw your inspiration for Jo? Mary Ann: When I started writing Jo, I was thinking a lot about what identity means, or specifically what it means to have an identity that nobody can see unless they know to look. Her main identity is that she’s from Atlanta, so she’s thoroughly American, but she has this buried heritage she can choose to show or hide, and it’s fraught with more significance than anyone will ever understand. I don’t think this is uncommon as we all have deep mines of intersectional identities that may or may not all be visible. As for inspiration, quite honestly, I do not know. I start writing characters and then let them develop on their own and tell me who they are. I didn’t even realize Jo was diabetic until l’d written several chapters. When she nearly passed out, it came as a total shock to me, and I wasn’t sure what was going on with her. Then I went back to re-read what I’d written, and it was all there in subtle behavioral clues. ME: Social media played a big part in A Crazy Kind of Love. Jo and Micah connected through Twitter, her fellow papparazzi stalk their celebrities on Twitter in current time so they know where to find them to take their photos. Jo, more than Micah struggles with issues of privacy and boundaries. If Jo and Micah were real people in todays world how would their views of using social media change? Or wouldn’t it? Mary Ann: I want to say Micah’s views wouldn’t change, but I think they’ve already begun to shift when the crosshairs point to someone he loves. Micah has typical millennial views on privacy, figuring it’s all out there anyway, so why bother hiding? Jo, on the other hand, would have her Facebook page locked down to friends only (how else would she talk to Mom? ), and she’d never set foot on Twitter again. With a boyfriend like Micah, I suspect she wouldn’t be spending much time online anyway. ME: I saw changes in both characters that made them stronger as a couple. Who do you think had to develop and grow more? Why? Mary Ann: Such a great question. Ideally, they both matured in the course of the book, but as much as Micah needed to grow up and take life more seriously, I think Jo went through the bigger transformation, redefining big concepts like happiness and success. Unlike Micah, Jo had some heavy issues in her history to confront and resolve before she could trust someone as carefree as Micah. ME: Hopefully, you are writing your next novel. Can you tell us a little bit about your next project? Will it be in this same series? Mary Ann: The book I’m working on right now isn’t in the same series exactly, but it’s loosely in the same world. It’s called Dating By the Book and was pitched as “An unlucky-in-love author begins corresponding with the book reviewer who criticized the romance in her latest novel and challenges her to find love herself before writing about it.” It’s basically a love letter to books, bookstores, readers, reviewers, and authors. And it’s filled with so many tropes. So very many tropes. I have drafted another book in the Flirting with Fame series about a behind-the-scenes character you might remember as Pumpkin from the fan forums. I thought it would be fun to see what would happen if I pulled her out from behind the computer screen and plopped her in the middle of a band she worships. And as usual, it wasn’t what I expected. Mary Ann, thanks again for stepping away from your writing desk to take a few minutes to answer some questions about Jo and Micah from A Crazy Kind of Love! I really enjoyed your answers! 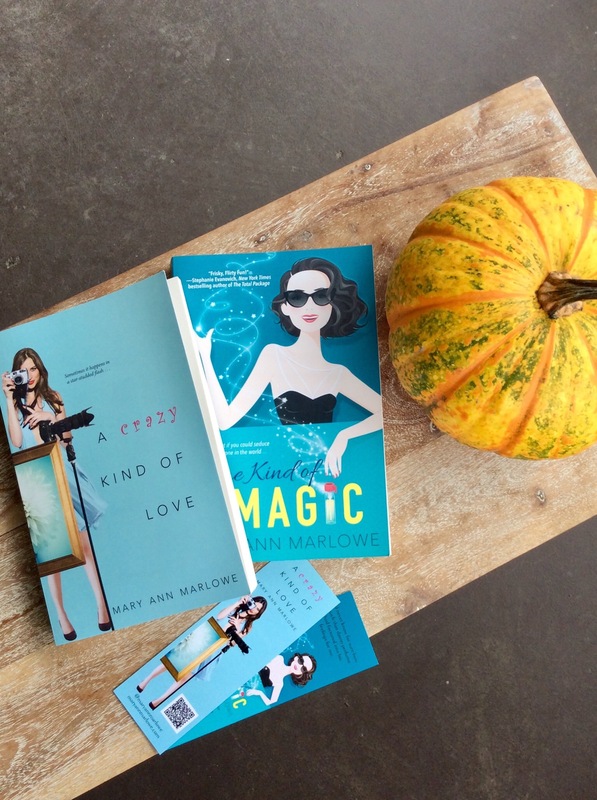 Mary Ann has provided one signed copy of each of her books, Some Kind of Wonderful and A Crazy Kind of Love! I highly recommend both of these novels. Enter the Giveaway by clicking the link below! US only!